I woke up with a stinking cold. The alarm went off and I curled up in bed ignoring it. When I finally surfaced I dosed myself up and stood in the shower waiting for it to make me feel better….No such luck! The next painful task was to sort my phone SIM card out. Nothing a call to mum couldn’t fix! She’s a superstar and did all the talking for me as the WiFi was so terrible my end. It was soon sorted and I had a bonus catch up too! 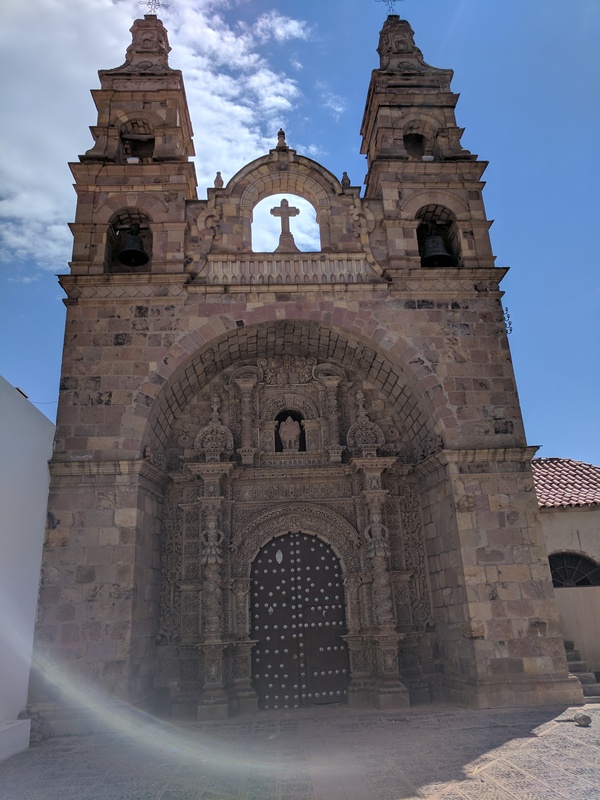 As terrible as I was feeling, I decided to get some fresh air around Potosí and then get some lunch. We stopped at some rather stunning churches and had a little history lesson from our guide. As always, the food recommendation was fantastic. 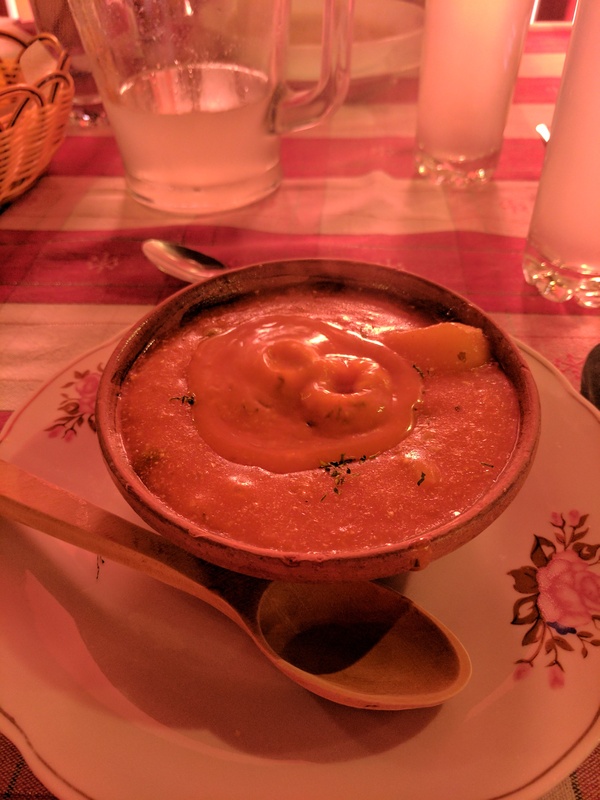 We went to a local traditional restaurant and had calapurca which is a soup with a hot stone in the centre – man was it tasty!! I practically licked the bowl clean. I had an excuse, I had had no breakfast…. 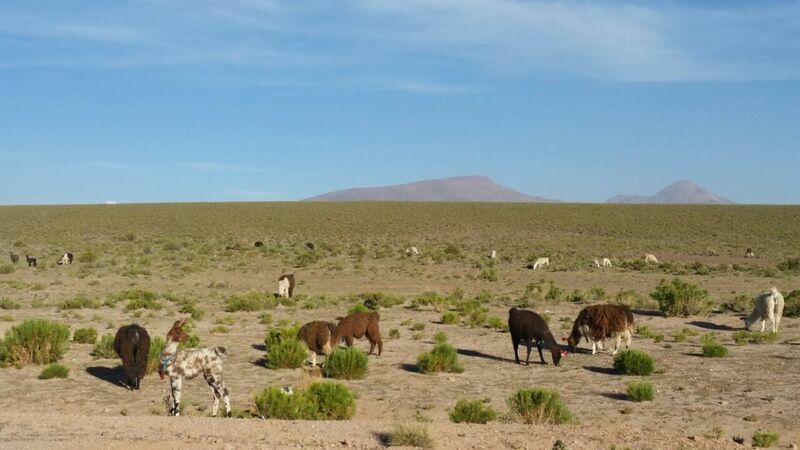 After lunch it was time to get in the bus and leave Potosí in our dust and head for Uyuni. The bus ride went surprisingly quickly. The views and hair pin roads were impressive. Whichever way you looked there were llamas galore! 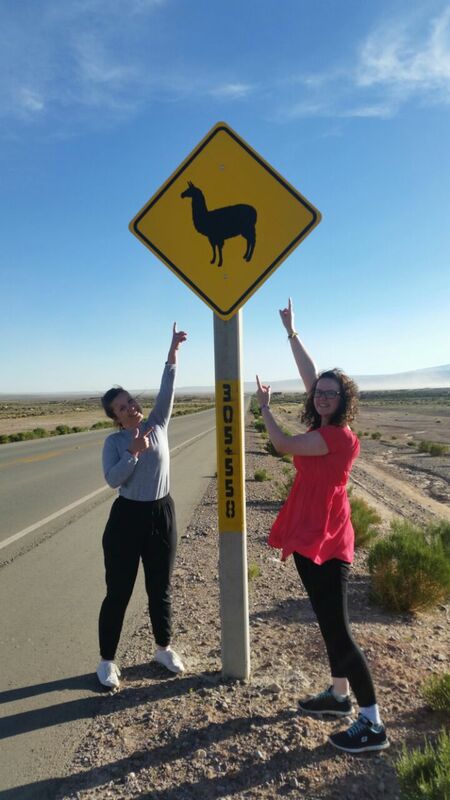 We made a few nature stops along the way where we tried to get a stow away baby llama but this was the best we could do! At Uyuni we checked in and I collapsed on the bed with a Spanish film in the background taking some time to dose myself again and chill out before dinner. Dinner was custom made pizza *druel* I managed to bring some back to have some for breakfast tomorrow – score!!!! Plan for tomorrow: go cold weather clothes shopping (I optimistically didn’t bring much) and head out to the salt flats! So excited. Cheesy pictures await.